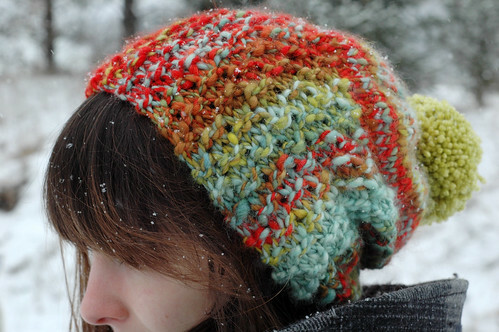 Gorgeous yarn, cute hat and great article! 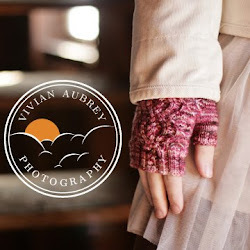 Great article and pattern, and you look fab on the front page of KnittySpin. I was wondering about the leashes in your pattern pic; I knew you had company! That's a great looking hat, such bold colour!! Great photography too! 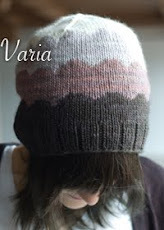 I just came from Knitty, this is a gorgeous hat! I was just wondering what the connection is to actual fractals/the mandelbrot set is though. 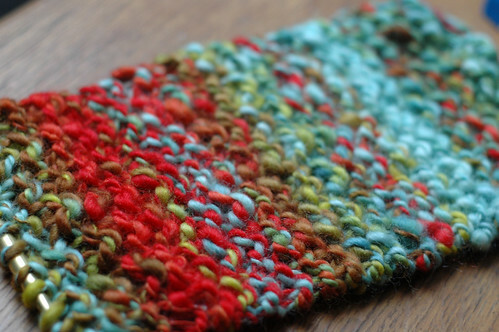 I'm a computer scientist by trade as well as a knitter, and I'd like it so much more if it had some mathematical basis. 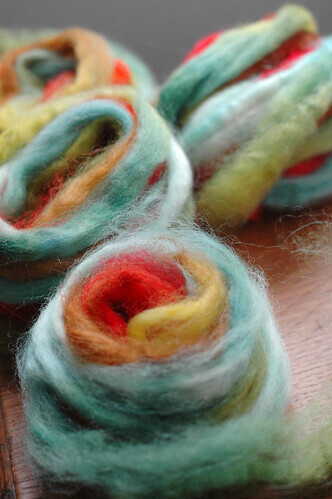 I know the pattern doesn't, and the yarn was spun in some way to facilitate self striping? But it doesn't seem like there were any set of fractal-like repetitive rules you were following to produce the results. Like the mandelbrot set itself is very interesting, it is a recursive function and the image is formed by all the points generated by the equation that doesn't cause it to spiral off into infinity. I'd love to know if this was incorporated into your work in any way. The hat itself has nothing to do with the Mandelbrot set, it's just named after Benoît Mandelbrot for his work with fractals.